Many small businesses need their employees to frequently drive as a part of their daily jobs. If your small business asks your employees to drive their own vehicles or one of your fleet of vehicles to complete their job duties, tracking and managing their transportation costs can be a real headache. Some businesses use travel reimbursement forms as a way to try to track and manage their employees’ fuel purchases. However, these forms can expose your business to fraud and abuse, and they can also lead to employee resentment if it takes time to approve the forms and repay your employees the money that they have spent. A good solution for your business is to give your employees cards that they can use. 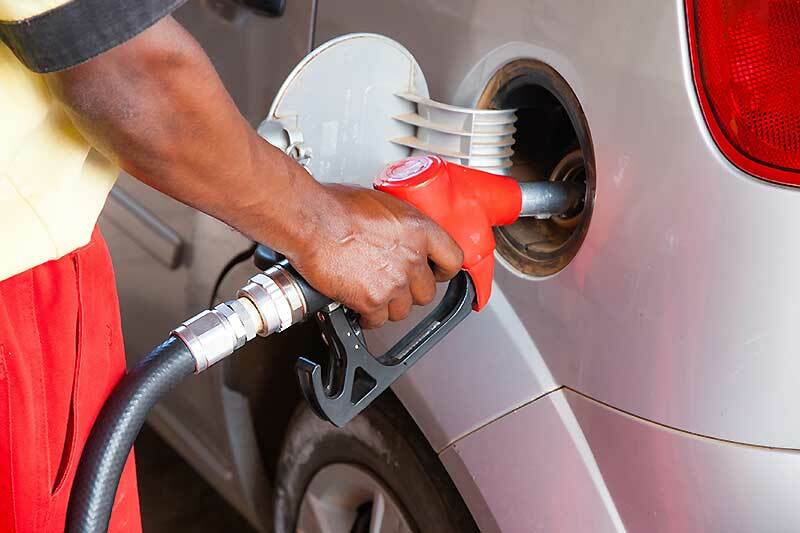 Gascards can help you to control your expenses and allow your employees to purchase fuel when they need to without having to spend their own money. Business gascards are cards that can be used at gasoline stations to make fuel purchases. Some fuel cards are branded by the gas station chains themselves and may only be used at the chains’ gas stations. Others are cards that allow your employees to purchase gasoline anywhere, but which have spending controls that are placed on them that prevent your employees from using the cards to make other types of purchases. Fleet cards can be provided by you to all of your employees whose jobs require them to drive for your company so that they can spend your money on gasoline rather than theirs. Gascards for business uses are cards that you provide to your employees. When your employees travel for your company, they can refill their fuel with the cards that you have provided to them. Some cards are credit cards, meaning that they are lines of credit that may be subject to interest charges. Others are prepaid cards that do not charge interest. With prepaid cards, you simply decide how much money with which you want to fund each card, and you can set daily or weekly limits on the total amount that can be spent. Using one at your company can help you to clearly understand how much money your business is spending on fuel expenses each month. When all of your fuel purchases are made using your cards, the information can easily be imported into your accounting software for tracking by category. Using gas cards can also allow your company to get rid of time-consuming reimbursement processes. Your employees can purchase gasoline when it is needed with your money instead of their own. Employees who are expected to pay for things for your company may become resentful if it takes time for your company to process their reimbursement requests and repay them the money that they spent. When they are given gas cards to use, this issue can be eliminated. Why is a gascard important? Debit gascards can help your company to increase its operational transparency. When your employees use gas cards to purchase their fuel, you can have fuel reports for each individual driver. This can allow you to analyze the consumption patterns of each employee and identify potential misuse of the cards. The ability to access your dashboard in real time can help you to identify issues quickly before they turn into big problems. The cards also allow your employees to travel when they need to for their jobs without having to go through the normal request and approval process. Who can benefit the most from using a gascard? Businesses of all sizes can benefit from using gas debit cards. Small businesses that have a fleet of vehicles might derive the greatest benefit, however. You are able to give each employee who is required to drive his or her own card to use for fuel purchases. This can allow your employees to travel when and where they need to travel for your company. Having fleet gascards can also help you to increase the spending transparency at your company so that you can track your expenses more easily and identify problems quickly before they become large issues. Will a gascard save you money? They can potentially save your company money. When your employees use refillable prepaid cards that you provide to them, you can set daily limits on the amounts that they are able to spend. You can also turn the cards off during the hours that they are not working so that the cards will not work during those times. You can also limit the cards to fuel-only purchases so that your employees won’t be able to use the cards to purchase unauthorized items from inside of the gas stations such as food or sodas. This can help you to save money by having strong spending controls and preventing abuse and waste. By having the ability to set spending limits by the day, week or month, you can also keep the gas expenditures at your company within your established budget, making adjustments according to the number of miles your employees travel and the price of fuel. How can fuel cards reduce fraud? Fraud is a very real problem that small businesses face. The Association of Certified Fraud Examiners reports that the median loss that was suffered by small businesses in cases that were examined by fraud examiners from 2016 to 2017 was $200,000 while the median loss for large companies was just $104,000. Small businesses may be targeted because they may not have good spending controls in place. Fuel cards may increase the convenience for our company, but they may not offer the robust controls that prepaid cards might provide. Prepaid gas cards can help you to reduce and prevent fraud at your company by allowing you to set spending limits and restrictions on what each employee can purchase. If you notice that one employee is spending more on fuel than other workers who travel the same amount of miles each day, you can turn off the problem employee’s gas card from your real-time dashboard by clicking a button on your mobile device or computer. Prepaid cards are also not linked directly to your bank account, so your employees will not be able to use them to access your money. Finally, employees are not able to use the cards to make cash withdrawals or to purchase anything other than what you have authorized. Where can a gascard be used? Some gas cards can only be used at specific branded stations. For example, a Shell gasoline card will only allow your employees to make purchases at Shell stations, which may not always be convenient. The best prepaid gas cards are able to be used anywhere, helping to save money on gas that might otherwise be spent searching for the right branded station. You should look for cards that are Mastercards or Visas so that they can be used at almost all gas stations. How much control will you have when using a gascard? The best gascards for business needs give you robust controls over the spending at your business. For example, if you have a group of drivers who regularly drive on dedicated sales routes, you can give them cards that have preset limits on how much money that they can spend each day. You can also limit each card to fuel purchases at the pump only so that they cannot try to make other purchases inside of the stores. If you have other employees who only occasionally need to drive to buy things for your business, you can authorize one-time purchases for gas. If your employees later try to purchase gas with their cards, their attempts will be declined at the point of sale. You will be able to see how every employee is spending your money from your real-time dashboard so that you can address any problems immediately. A prepaid gascard for your business differs in several important ways from a business credit card. To obtain credit cards for your business, you will have to submit to a credit check. 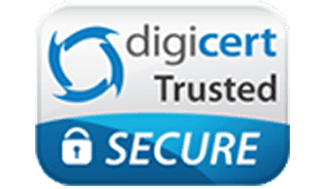 You may be denied if you have marks on your credit or if your business has not been open for very long. Credit cards also charge interest rates that may be very high, and they may also not allow you to limit the purchases that your employees can make. A prepaid card does not require a credit check and will not impact your credit score. Since the money that you place on the cards is your own, you will not be charged interest on your card balances. The cards also offer you more stringent controls over the spending each employee can complete so that you can keep better track of your expenses. There are many different fleet cards that are advertised. To find the best one for your business, you should look for cards that offer the best built-in controls and that can be used anywhere. You should also find refillable cards that you can reload when you need to place more money on them. 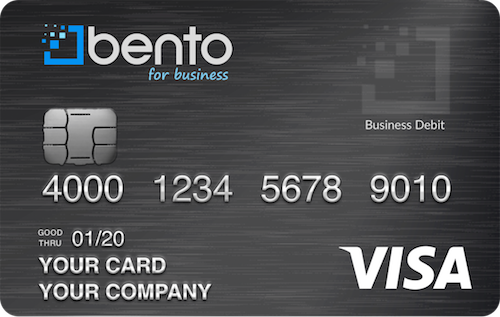 The cards that are offered by Bento for Business allow you to set individual spending limits for each employee and decide how much money you want to place on each card. Applying doesn’t require a credit check, and your deposit will be insured up to $250,000 by the FDIC. Your employees can use the cards nearly anywhere. The cards can be fully integrated with your accounting software, making expense tracking and management simple. To learn more about the solutions offered by Bento for Business, call us today at 866.220.8455 or signup for our free 60-day trial.